Modern dental procedure technology can reshape uneven teeth and veneer them with high-tech ceramic. The result will give the appearance and function of a symmetrical smile. The effectiveness of this approach can depend on how crooked and crowded the teeth are to begin with. What we can do is absolutely amazing. For many adults this option is better than traditional orthodontics, and treatments can be complete in as little as two visits. Smile Design is a conservative, non-aggressive way to rejuvenate your smile. Veneers work well for tooth reshaping and resizing. Veneers are an attractive way to rejuvenate your smile because they achieve a very natural look with a very conservative tooth preparation(shaping). Very little natural tooth structure is removed when veneers are bonded into place and the virgin strength of the tooth is recaptured as well. We have found that this is the treatment of choice for smile enhancement if more than whitening is needed. The best use for bonding is to repair slightly chipped, discolored, or misaligned teeth. Bonding involves placing tooth-colored composite material onto the tooth. The advantages of bonding is that it is inexpensive and an ultra conservative way to restore a tooth. Bonding will discolor and is easier to break, however. By intercepting the potential of fracture before experiencing symptoms of hot/cold sensitivity and biting pain, new conservative treatments like tooth-colored filling or porcelain bonded restorations are preventing the side effects of toothaches and broken teeth. Using a proactive rather than reactive approach to amalgam replacement is a choice many patients are happy to have. Many restorations are fabricated using a metal lining covered with porcelain. These types of crowns are used because they are less expensive and easy to place in the mouth. They are opaque or flat looking because they do not let light pass through as a natural tooth does. There is often a dark or gray line next to the gum-line. We provide exclusively all porcelain bonded restorations. When properly placed they are as strong, if not stronger then the porcelain covered metal crowns. Notice the appearance of natural teeth again. A Bridge is a custom device anchored to neighboring teeth that replaces one or more missing teeth. When a lost tooth is replaced with drudgework, the teeth on either side of the missing one are prepared as crowns to serve as abutments to hold the prosthetic (replacement) tooth in place. Crowns and bridges are most commonly prepared from high quality materials such as semiprecious or precious metals, porcelain, or a fused combination of the two. Aesthetics, function, and tissue compatibility are considered when selecting the material most suitable for you. Full Mouth restoration involves restoring the teeth, bite, and muscles back to a natural looking and youthful feeling condition, thereby improving self-esteem. Using computerized technology and an artistic eye, full mouth restoration may be the answer to many problems, such as heat sensitive teeth, sore jaw muscles, and recurring headaches. Tooth whitening or bleaching is one of the most popular areas of cosmetic dentistry. Even subtle changes in shading can make someone look years younger. Several factors can contribute to the darkening of teeth, including the effects of age, certain foods, and drinks, smoking, and medications. We use the Zoom! In-Office Whitening Procedure. It is easy for you, and doesn’t cause any sensitivity, like other home bleaching products. We apply the Zoom! Whitening Gel to your teeth after isolating your lips and gums. A specially designed light activates this gel. All you need to do is lay back and relax as your smile is lightened. Invisalign is a ground breaking alternative way to straighten your teeth without braces. Invisalign uses a series of removable aligners that are virtually invisible, so you don’t have to worry about your appearance. You can take them out for daily necessities like eating, drinking, brushing, and flossing. Comfortable, convenient, and complimentary to your smile, Invisalign is the preferred method of teeth alignment for patients. Implants completely simulate a natural tooth. 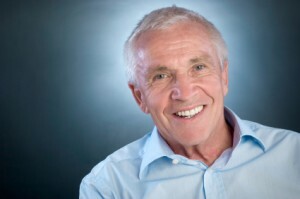 Implants involve a surgical procedure that replaces missing teeth. A titanium cylinder secured in the bone functions as the root of your tooth. 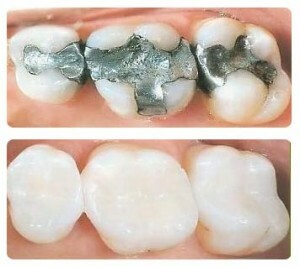 Then a crown attached to the titanium cylinder gives the appearance of a natural tooth. Over 35 million Americans have some level of anxiety when it comes to going to the dentist. But for many, it is more than being afraid. Some of our patients have had a traumatic experience in a dental chair. But regardless of your personal history, we are here to help. We understand that your fears may have kept you from a dentist. We are not here to judge you; we are here to help you and encourage you so that you can have the confidence a beautiful smile can bring. Most patients feel no discomfort during their treatment and feel surprisingly good afterwards. You’ll receive just enough sedation so that you’ll be completely unaware of the treatment, as you would if you were asleep. At the end of the treatment, you’ll have little or no memory of your dental visit. If you’ve been putting off years of dental work, Oral Conscious Sedation can change your life. Yes, we accept children. In fact, they are some of our favorite patients. 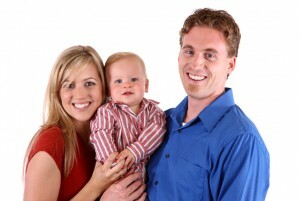 A child’s first dental visits forms a lasting impression toward dentistry. We create a positive approach for a healthy beginning. As we grow older, our needs change. We provide an individualized approach to accommodate each unique need with the proper dental procedures. The greatest gift our patients can give is the referral of their friends and loved ones.